Mamata Banerjee extended her "full support" to former Yashwant Sinha in his fight for the cause of farmers and said she was concerned about the BJP veteran, who was detained by Maharashtra police. 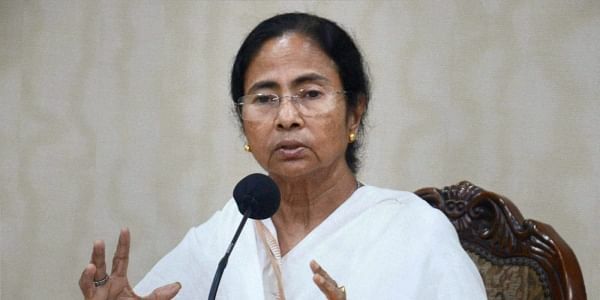 KOLKATA: West Bengal Chief Minister Mamata Banerjee today extended her "full support" to former Union minister Yashwant Sinha in his fight for the cause of farmers and said she was concerned about the BJP veteran, who was detained by Maharashtra Police. She said she was sending Trinamool Congress MP Dinesh Trivedi to meet Sinha, who was detained at Akola in Maharashtra last evening while protesting along with hundreds of farmers against the government's alleged apathy towards cotton and soybean cultivators of the Vidarbha region. "I am sending our MP Dinesh Trivedi to meet him. @YashwantSinha is fighting for the cause of farmers. He has our full support," she added.